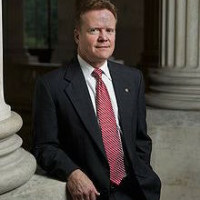 Jim Webb is the only Democrat in the race who isn’t after your guns. So how about it, Liberal Gun Club? Sanders has always been a mixed bag on the issue, and he’s been distancing himself from the parts of his records that are actually good. Every Democrat except Jim Webb basically declared open war on us in that debate. If Democratic gun owners can’t give Webb a bit of a bump, to be honest, what good are you to the cause? 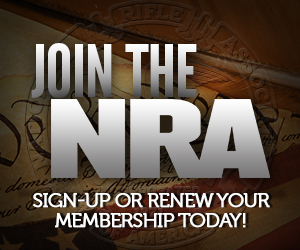 If you only start clubs of like minded people who will gladly vote your gun rights away to Clinton, Sanders or O’Malley, really, what good are you? I’m not issuing this challenge because I hate you guys. I’d be thrilled if the Democrats supported gun rights, or were at least not openly hostile toward it. I’d be thrilled to see an insurgency in the Democratic Party that favored gun rights. This is your chance. He might not be the best candidate in the world, but the contrast on guns is stark here. I in no way expect Webb to be the nominee. He doesn’t have the chops to win. But giving Webb a bump would help tremendously. The election in 2016 is sure to be very close, and if in 2016 the nominee does eventually lose the general election, the party might start to wonder if maybe those Jim Webb Democrats could have been useful. What’s made gun rights successful are single issue and near single issue voters who are capable of swinging close elections. Increasingly, the Dems are believing those numbers are already baked into the GOP voting figures, and the NRA can’t come up with new voters that are going to help Republicans and hurt Democrats. What keeps me up at night is I’m not sure they are wrong. The thing I find interesting (as you mentioned) is that even though gun rights show the most popular support ever the Dems have decided as a party that being anti-gun won’t hurt them them in elections. I think they realize that pro-gun Democrats/progressive independents have other priorities (social issues) and however much they like guns will simply not vote for a social conservative who’s against gay marriage/legal weed/early term abortion/etc. That’s why in a matter of months I’ve gone from a guy rolling his eyes in disgust at Trump to starting to think he brings some value to the debate and believing he might just have a chance. Although his positions can be a bit … fluid … it seems as though Trump is not going to fight gay marriage (the biggest social issue I think) is willing to raise taxes on the wealthy to balance the budget (which will poll well with independents), and while he’s proclaimed himself generally pro-life I think we all know from past opinions that that will probably be a viewpoint that will “evolve” to be anti-late term abortion but not fighting early term abortion rights (he’s historically been anti-partial birth abortion). On the gun issue it’s just as interesting that the Republican party has gone vocally pro-gun, with Trump and Carson (both somewhat anti-gun historically) leading the way. I’m still not a trump supporter but if he continues to cool the rhetoric and become more issues based I might be able to vote for him without holding my nose. At least not as tightly as I have in some past elections. What’s the difference? Abortion is abortion. Split hairs much? Dead kid either way. Like it or not, most people don’t look at it quite that way. You can call it splitting hairs, but most people see the difference between ending the progress of a fertilized egg, even a multi cell blastocyst, and a fully formed baby with a beating heart and brain processes that could survive outside the womb. Just like even some of us on the pro-gun side see the difference between a neighbor owning a Glock or a thermo nuclear warhead. Despite politicians’ talk of “unity” and “bringing people together” it’s become increasingly clear that both sides are simply writing-off about 40% of the population because they don’t need them to win elections. All they need is to convince a small number fence-sitters in a few key states, and, like it or not, the gun issue is probably not going to change the minds of these people one way or the other. However, it will fire up the Democratic base, which is good thing for them during the primaries. Personally, I think we ought to abandon both the electoral college and the primaries and move to a system like Louisiana and France (I know, perish the thought) have. Many candidates, even some from the same party, run against each other in an open election. If one gets 50% plus 1 of the votes, they are elected. If not, you take the top two vote-getters (again, regardless of party), and have a runoff election a couple of weeks later. In this system, you don’t have people having to take extreme right or left positions to win a primary, and then “evolve” on the issues to win the general election. You also don’t have to worry about strategic voting, or the incredibly un-democratic idea that people in Iowa and New Hampshire have the most say in who gets nominated. I think that’s a good analysis. Haven’t though much about changes to the electoral system but since that’s not on the table not much point right now. I know that since I can remember every year people say politics are nastier than ever before, but I tend to think we’re finally right about that. People should be offended by the self righteous way in which the two sides push their agenda (i.e. the taunting walk Pelosi and Democrats took into the Tea Party crowd after passing Obamacare)and ignore/condescend to their fellow Americans who oppose them. Another reason I think a Trump or a Carson could win — if it is apparent they truly are rising above that and intend to govern and gently guide the course of the country rather than try to traumatically “fundamentally” change it. i.e. you may not like the fact that we got into a war in the Mid East, but if you take over as President you damn sure need to own it and not abandon it. Or for that matter you may not like social program like Social Security or minimum wages, but if you’re going to govern you need to maintain them until there’s a concensus to get rid of them. Totally with you on that. Been a fan for years. Too bad he did so poorly last night. So many gun owning Democrats I know still plan to vote for Sanders after last night. It is really sad. Before last night’s performance by the Dems, my plan was to stay home if Trump won the Republican nomination. Now, I’ll even vote for him just to keep out Sanders or Clinton. I’m neither a Democrat nor a Republican at this point. I don’t know if there’s going to be a much of a point in voting in 2016, because Washington is going for the Democratic nominee, whoever that is,and I can’t stomach anyone of them who has a shot. Love this. Wouldn’t want to sully my already-tarnished name by associating it too closely with any of these cretins. Washington is not the country. If you live in the liberal bubble it is easy to get apathetic. But even MD voted in a GOP governor and MD is solid blue state. Some folks over at LGC are big into Webb, but virtually no one is a single issue voter. I find Webb to be a weak candidate, in part because he doesn’t actually like being in government. He could, if he wanted, help Sanders out by running hard at gun control from a leftist perspective (which is actually pretty easy to do). We’ll see. At this point, I’m still with Sanders, as I think his anti-gun statements are merely there to hold off criticisms from corporate media/establishment Dems and give him space to focus on the core issues this cycle. Hillary has nothing to run on but identity politics, certainly not progressive positions, and guns are becoming one of them. i have no idea why the Dem establishment decided gun control is a good issue for the party, since it isn’t and we learned that in 1994 and 2014. But those people aren’t usually known for their brilliance. That should actually be the first qualification! Someone who gets into office, serves for a term or two, then can’t wait to get back home. Like, oh, I don’t know, that George Washington fellow perhaps. My FB friend was a big Bernie Sanders booster hoping that he would work to reduce the military police prison industrial complex and increase liberty. The enthusiasm Sanders is now displaying for typical gun control policies has definitely deflated his enthusiam. What I thought I watched last night in the Demo debate was the same thing I saw in the Repu debate — candidates pandering to their base, probably for purposes of the primary elections. Just as you’ll see the Rs consistently pander to their base by appealing to social conservative and religious right issues that no longer play well to the broader electorate, the Ds were struggling to get to the left of their competition, especially with the gun issue; who hated guns more? I don’t expect the Ds to become pro-gun, but as with the Rs and their social conservative issues, I think they will shortly have to moderate their views for a broader electorate. For the record, I don’t regard either the Rs or Ds as being sincere about much of anything. Of course they are sincere, about getting elected. No, they’re sincere about getting into power. They see election as an unfortunate necessity that they would gladly do away with if they thought they could make doing so work in their favour. One of Bloomberg’s tactics has been to push the Democratic party into a very openly hostile stance to the 2A. The Blue Dogs had largely been purged; money pouring into primaries at every level along with pressure in purple states has pretty much cleansed the Democratic party of pro-gun voices in many areas. Ultimately I think this is smart for Bloomberg et al. Without bipartisan support, the 2A just becomes another partisan culture war issue, something that the GOP may give lip service to and Dems can eviscerate every time they happen to have a majority or appoint a judge. I hope some smart folks at NRA HQ or the state level orgs are finding some chinks in the DNC Groupthink Armor with regard to this issue. Having voices on our side in both parties is going to be critical for the long term health of the issue. Yep, even if there is stalemate at the national level, efforts by Bloomberg and other anti-gunners successfully push change at the State and local level. Gun control is a partisan issue now more than ever, and the division between the states on the appropriate level of gun regulation is growing ever more stark, as anti-gun Blue states keep ratcheting up the pressure and pro-gun Red states keep moving towards greater freedom. Even if it is a futile third party vote. I will take the time, because if I do not, then the Washington DC Democrat-Republican Party thinks it has won by discouraging me. There are local candidates that need to be supported or thrown out. There are always ballot issues and amendments. Thanks to Bloomberg many of these could affect gun rights. I will show up and I will vote on these. I will vote against every unopposed incumbent, especially judges. Please Vote, even if you write in None of the Above for every damned office. The apathy of gun rights voters during the last 7 years has been appalling. It was very easy to determine Obama was anti gun. He paid lip service but since Sandy Hook the gun banners are in ascendant in the Democratic Party. Romney was not great but he was not hostile to gun rights. I have been surprised at Carson he has changed his mind and his statement on Gun control bad for Jews was pure genius. Trump has also been supportive. If gun loving liberals and libertarians would vote single issue then we can staunch the damage to 2A and keep the progress getting rid of 1968 regs. Many gun loving liberals will not vote for the GOP since they are GOP. I personally think the dogmatic PC is more dangerous that the religious right. Libertarians will instead vote for a libertarian that has no chance to make a difference or not vote. I am a capitalist conservative. Not sure about Trump I think he is much more liberal than I like. But if he is the nominee I will vote for him. The choice is too stark. So I will give on more conservative ideals But will gun voters give on their more liberal ideals? Don’t be too hard on apathetic gun owners. The apathetic tend to be low information voters, and low information voters are the most vulnerable to being manipulated by the anti-gun news media. There is good reason why the anti-gunners spend so much energy massaging their message and inventing new and ingenious ways of lying to the public. It pays off for them at least in the short term, ‘fooling most of the people some of the time’. What would Webb’s supreme court justices vote in regards the Second? Excellent point. Also I have never forgiven the supposedly pro-gun Webb for giving Obama cover on the gun issue, even in radio ads for Obama, during the 2008 campaign. It’s the same pattern we have seen with other supposedly pro-gun Democrats going all the way back to 1994. When the crunch finally came, they all chose party over principle, and the national party over their own district. What exactly is a pro-gun Dem? Not sure if I have ever seen one. They were a sub-species of Democrat that used to inhabit southern, mid-western and occasionally western states (many of us remember them fondly). Sadly they died out because they were easy pickings for the RNC in its hunt for more seats and lost the cover once provided by other Democrats. I wouldn’t blame the RNC though. It is only natural that the purple districts are going to be the first to go as voters become disillusioned with Democrats. Manchin for one . And he got hell for his background check bill. I am waiting for him to switch to GOP to keep his seat. Pro gun Democrats were voted in in 2006 and when Pelosi got them to die on he Obamacare hill they got voted out in 2010. I think most Dems run away from guns because and armed leftist brings up the specter of the progressive radical, which the right uses as a monster under the bed to mobilize the state and vigilantes against. think the Black Panthers in the California capitol building. with violence deemed illegitimate, that leaves the radical progressive with only one counter: being broadly “anti-violence” and disarming everyone. Webb talks nice on 2A and seems to be that rarest of things, a conservative Democrat as we used to know them, but when he was in the Senate he voted with Harry Reid overwhelmingly. He will sell you out in a heartbeat, sadly, though his Vietnam record is very, very good, he is a weasel for a politician. Trust what he does, not what he says.